It is official now – Marijuana smoke is now on the Prop 65 list! On March 21, 2009, I reported that California was considering adding marijuana smoke to the Prop 65 list. Well – it is official now. The Office of Environmental Health Hazard Assessment (OEHHA) of the California Environmental Protection Agency is adding marijuana smoke to the Proposition 65 list1, effective June 19, 2009. Marijuana smoke was considered by the Carcinogen Identification Committee (CIC) of the OEHHA Science Advisory Board2 at a public meeting held on May 29, 2009. The CIC determined that marijuana smoke was clearly shown, through scientifically valid testing according to generally accepted principles, to cause cancer. Consequently, marijuana smoke is being added to the Proposition 65 list, pursuant to Title 27, California Code of Regulations, section 25305(a)(1) (formerly Title 22, California Code of Regulations, section 12305(a)(1)). 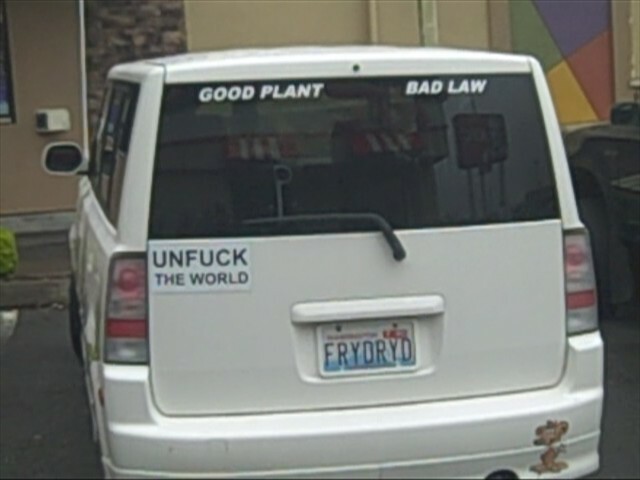 The photos below are those of a car I came across in Washington State. 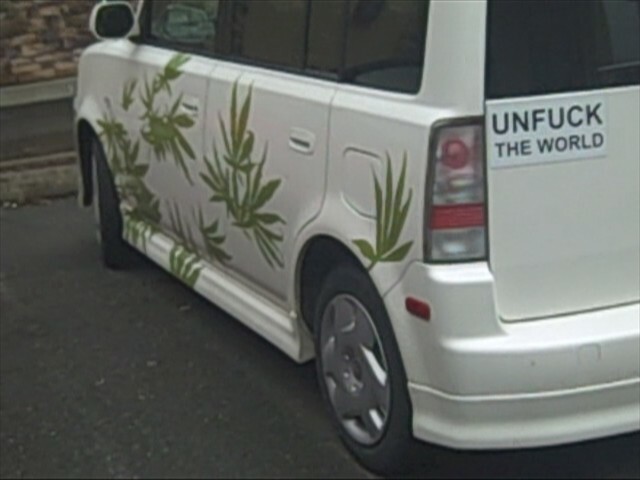 It obviously belongs to a person who has very strongly held views about the aforementioned botanical plant recently regulated by California’s OEHHA. California has proposed to add methanol to the list of Prop 65 chemicals. Prop 65 is also known as the Safe Drinking Water and Toxic Enforcement Act of 1986. The State of Califonia considers methanol to be a chemical that causes reproductive toxicity – one of the criteria that would require it to be listed as a Prop 65 chemical. Comments may also be delivered in person or by courier to the above address. In order to be considered, comments must be received at OEHHA by 5:00 p.m. on Monday, February 2, 2009. 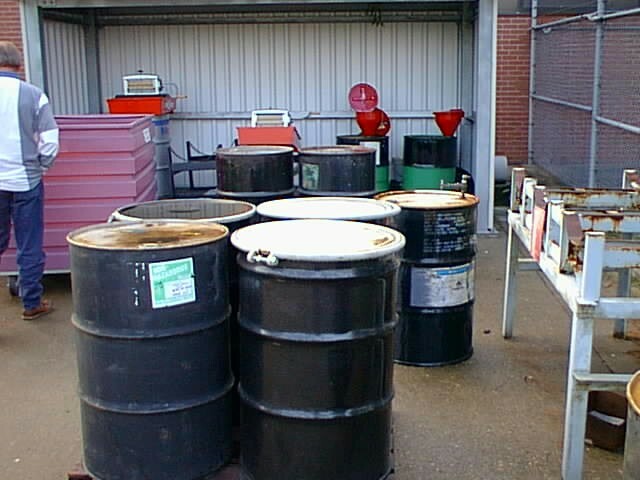 If and when this chemical is added to the list, industry will have one year to comply with the warning requirements udner the state law. Prop 65 is one of the topics that are covered in Norman’s 2-day California Environmental Seminar on February 2-3, 2009.